Organizations need an enterprise integration strategy to deal with the disruptions brought around by the hybrid era of cloud and on-premises. 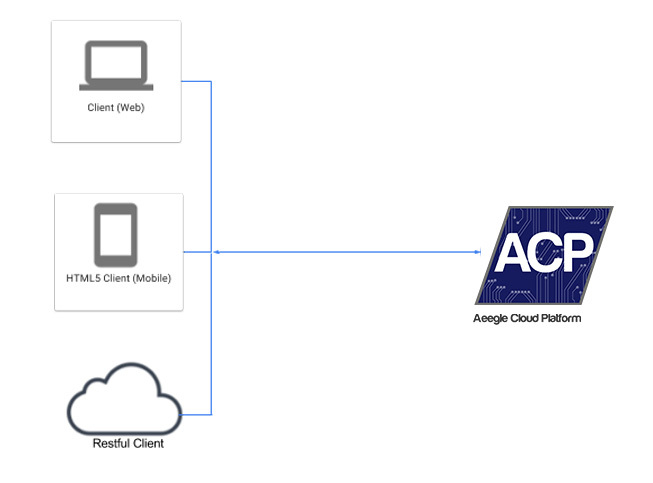 ACP offers multiples way of integration with external Systems, one of those is the Developer API or application programming interface that allows users to interact with any application that they have built on top of Aeegle Cloud Platform, it helps companies to make custom integrations between Applications and Data stored on ACP and with their datacenter. Therefore for any aplicacion created on ACP the platform will automatically generate two access interfaces: 1) the HTML5 UI built using forms and views with the visual builder and 2) RESTFul API. Allow external systems to Integrate with ACP Applications. Web services design, made easy. Create web services using a drag-and-drop visual designer. Modern well documented RESTFul API, designed by developer for developers. Create a RESTful Web services get and search records using any kind of filters. It is a RESTFul API that allow developers to make API calls to any forms and data stored on applications built on top of Aeegle Cloud Platform. 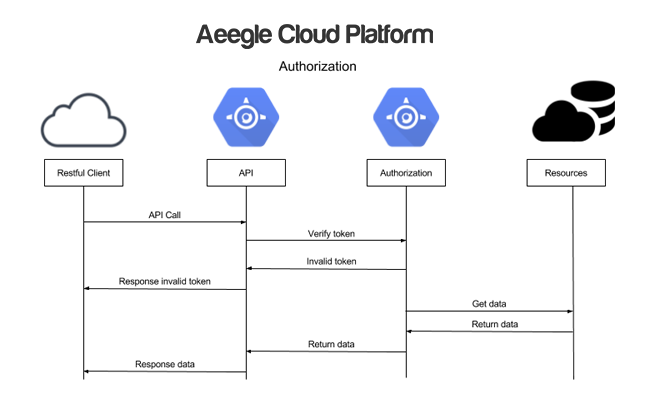 Administrator of the apps can generate tokens to interact with the API. This API provides access to any Application or form created on ACP. Directory API is a RESTFul API that allows companies to fetch and update the corporate information on the All-in-one Cloud Corporate Directory, for services such as : Employees, Contractors, Locations, Business Units, Departments, ETC. 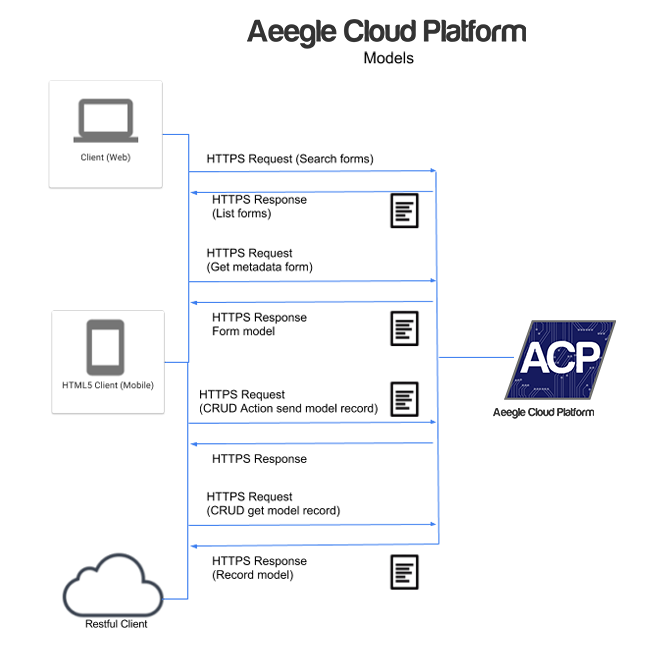 ACP provides customers with an easy way to visually create web services, in a nutshell: any form that is created on ACP, the system automatically generates a RESTFul web service for it, enhancing that model to be also available via a web service.